Our White Papers offer in-depth analysis of FDI and Market Entry opportunities for corporate decision makers. Our collection of FDI News comprises links to articles and press releases Enovado regards as relevant for the FDI community. From recent FDI trends and drivers to major events and publications to developments within Enovado, our blog offers information, insight and our very own opinion on a wide variety of subject matters. The words “smart city” evoke a vision of a city which is superior in planning and is highly digitized in terms of facilities and infrastructure. This vision, although it may be a definite priority for the Indian Government’s desire to create 100 intelligent cities over the next 3 years, is a hard task to accomplish without significant foreign collaboration and investment. A necessary condition for making such a vision a success is the participation of private sector FDI. India being a unique and diverse nation, its cities reflect a wide array of opportunities, weaknesses and barriers. There is however a tremendous requirement of smart solutions common across most cities in areas such as smart energy, water, waste and transportation, which foreign players can exploit. These verticals offer opportunity by way of manufacturing, consultation, analytics, management, innovation and private-public partnership. 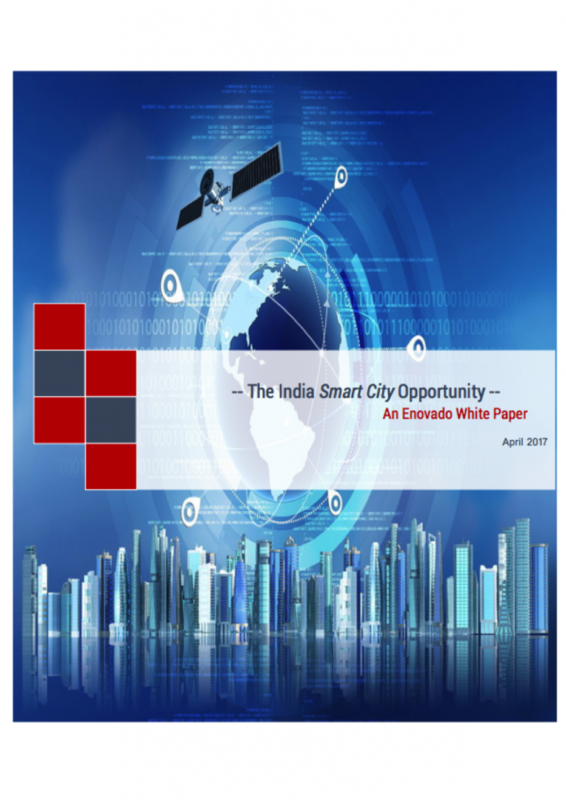 With the present wave of urbanization sweeping across India which in twenty years will witness 590 million Indians living in cities (twice the current population of the USA) that will generate 70% of the nation’s employment rate gives us a flavor for the stakes involved in the Smart City initiative. An estimated $1.2 billion already allocated by the Indian government and a further $1.2 trillion required to turn the Indian Smart City initiative into reality, the recently elected Modi government has passed sweeping reforms in liberalizing foreign flows across virtually all sectors. The Indian government’s mission to woo foreign counterparts is gathering steam with companies across several nations already having put their foot through the door. Thank you for your interest in “The India Smart City Opportunity”. To see a short version of the report, please click the button below. For the complete report, including an exclusive interview with a senior economic advisor to the Government of India, please contact us at info@enovado.com. German FDI in India continues to move from strength to strength. Currently weighing in as the 7th largest foreign investor in India , Germany’s position highlights not only great co-operation now, but great potential for the future. These are exciting times for both nations, due to the ambitious and very real economic philosophy of Narendra Modi’s “Make in India,” “Skill India” and “Digital India” initiatives. From a German perspective, collaboration on Indian soil has yielded some major success stories – in particular in areas where German knowledge in high-tech manufacturing is sought. With wages on the rise, India can no longer rely on its traditional labor cost advantage to remain globally competitive. India must protect its reputation as a major global industrial hub with high technology that drives cost savings from the factory floor to finished products. Given Germany’s reputation for being a powerhouse in R&D with acute technical capabilities, the potential to collaborate is high. Instances of high-tech manufacturing in FDI can be found across a diverse range of sectors from pharmaceuticals to ceramics. However, there are certain key sectors that we feel present greater opportunity than others in that they display large degree of technological gaps that German industry can help to address. Our report is divided to highlight specific areas of opportunity, and to provide a critical analysis of geographic locations where these advantages can be sustained. Furthermore, we will offer insight into various Indo-German success stories via case studies, that will offer potential market entry strategies for German small to medium enterprises (SMEs). 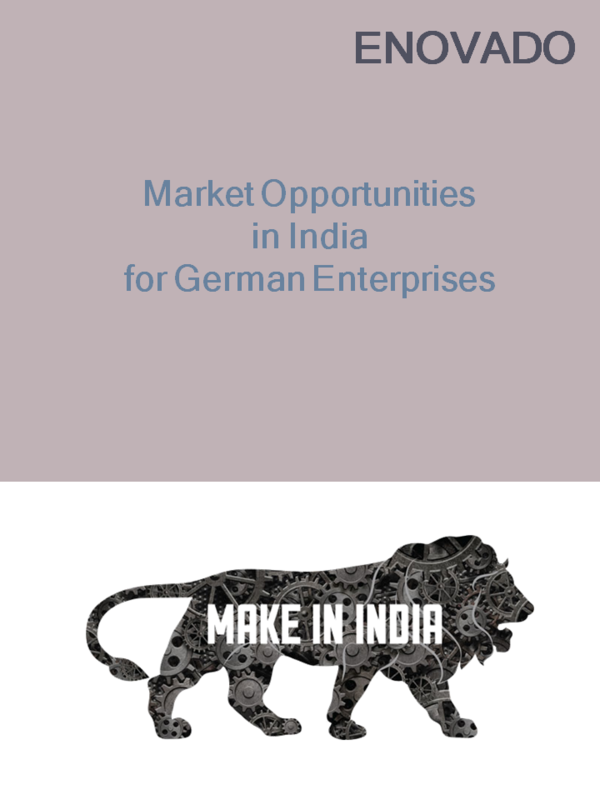 Thank you for your interest in “Market Opportunities in India for German Enterprises”. To see a short version of the report, please click the button below. For the complete report, including more than 60 pages full of details about the most promising sectors, locations as well as investment conditions and incentive programs, please contact us at info@enovado.com.